On April 19th, 2018 Colorado’s Senator Bennet introduced the San Juan Mountains Wilderness Act which would secure protections for nearly 60,000 acres in the heart of the San Juan Mountains.The Act expands or designates 11 areas within and surrounding the San Juan National Forest. 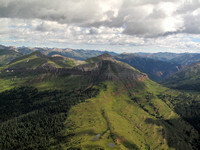 It will designate 31,488 acres of new wilderness areas near Telluride, Norwood, Ouray, and Ridgway. 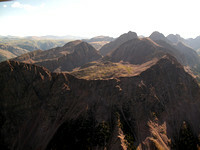 This would include 23,000 acres that are additions to the existing Lizard Head and Mount Sneffels Wilderness Areas administered by the U.S. Forest Service. The bill also would designate 8,600 acres surrounding McKenna Peak, an existing Wilderness Study Area managed by the Bureau of Land Management, as a new wilderness area in San Miguel County. 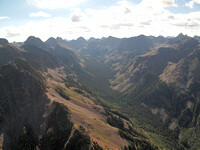 The bill would designate 21,675 acres as the Sheep Mountain `Special Management Area between the towns of Ophir and Silverton, which would include Hope Lake and Ice Lakes Basin. 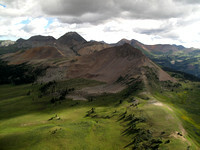 The bill also would create the 792-acre Liberty Bell East Special Management Area near Telluride. The bill would protect 6,590 areas of mineral withdrawal outside of Norwood at Naturita Canyon, and prohibit future oil and gas development. This legislation is the result of years of collaboration among local officials and stakeholders in San Miguel, San Juan, and Ouray Counties. 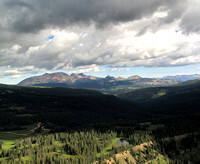 The towns of Telluride, Mountain Village, Silverton, Ophir, and Ridgway support the bill.